It features an easy to read LCD display, a wide switching RF bandwidth, a Mic/Line switchable input, and digital circuitry, rugged lightweight plastic housing. 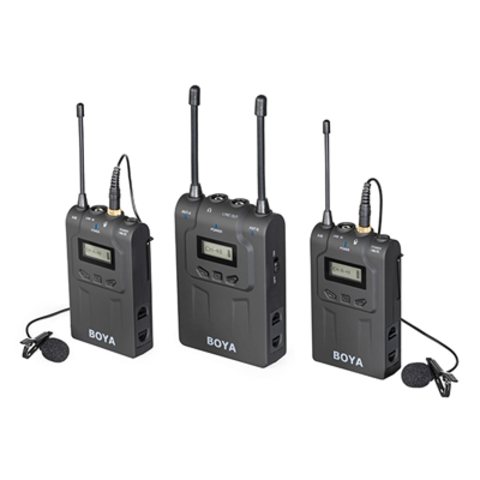 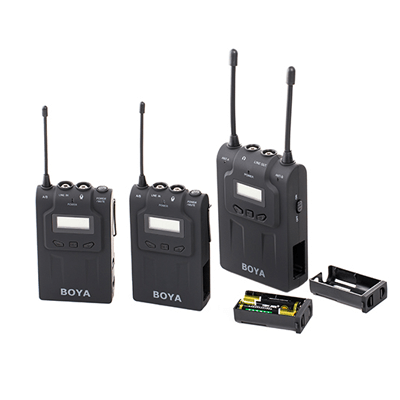 The BY-WM8 system consists of two bodypack transmitters, a camera-mount receiver, and two omnidirectional lavalier microphones. 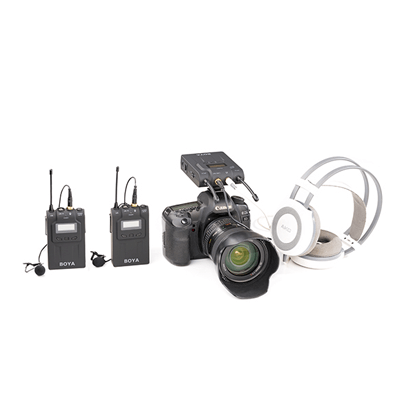 Also included with this system is a shoe-mount adapter, a single 1/8" to XLR output cable, a single 1/8 to 1/8" output cable, carrying case. 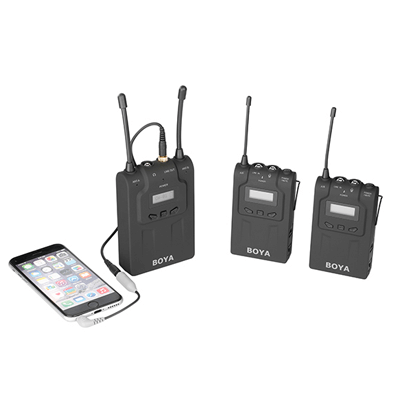 - Both transmitter and receiver feature a comprehensive LED display providing the channel, battery life, volume, operating mode.